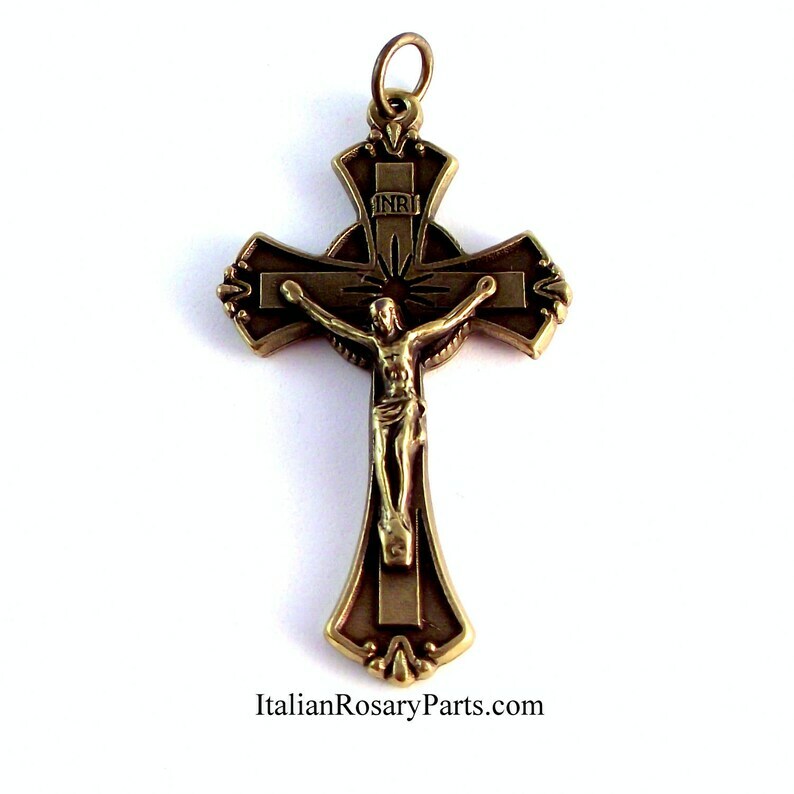 1-3/4" Flared crucifix with elegant scrolled edges. Bronze plated. Made in Italy. NOTE: this is NOT a two tone bronze. I thought it was from the photo, but since I am fine with it being all one tone, I did not mark it lower. Very Cool Product with Excellent Quality! This crucifix has a very rich bronze tone. Detail is good. Solid medium weight. Not flimsy. Good purchase. Outstanding customer service.